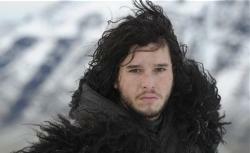 Game of Thrones in 9 Minutes (VIDEO): Recap of seasons 1 and 2. Catch up on the first two seasons of the impossibly dense HBO series. Whether you’re a George R. R. Martin disciple or just an armchair visitor of Westeros, Game of Thrones can be a daunting show to follow. Slate V is here for you with this narrated 9 minute breakdown of the first two seasons ahead of the premiere Sunday night on HBO. Take a deep breath, press play, and prepare yourself: Beheadings are coming.